New Year, New Resolution and new recipes too! I decided to try new recipe every week. 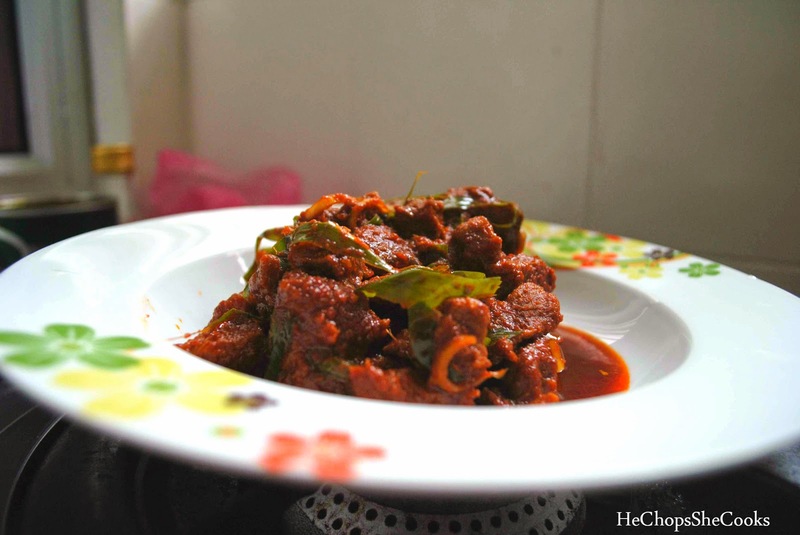 I make this delicious Rendang Pedas Daging/Spicy Beef Rendang. Totally love it. Love the spicy and the flavors of turmeric leaves. Mix all the paste ingredients together in the blender and blend it well. Heat the cooking oil in the pan. Add the onion and paste on low fire heat for 10 mins. keep stirring constantly. Slowly add the meat, tamarind juice, salt and sugar and continue stirring. Gently add the turmeric leaves. Close it with a lid to make sure the meat turns tender and juicy and the gravy is thicker. 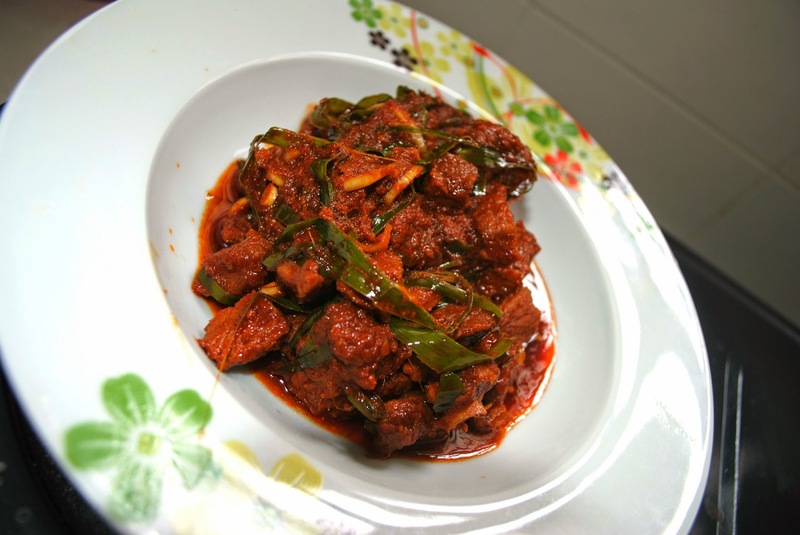 Once the meat is cook perfectly, remove from the fire and serve with warm rice. Another killer dish with those flavors I will die for. Only thing is that I need to replace beef with chicken because we don't eat it.